The new High Roof Cab is the largest ever built by UD Trucks. 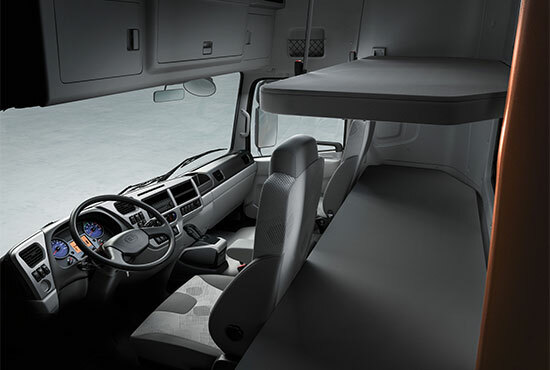 An impressively spacious, walk-through cab is equipped with upper and lower bunk beds for shared long-distance assignments. 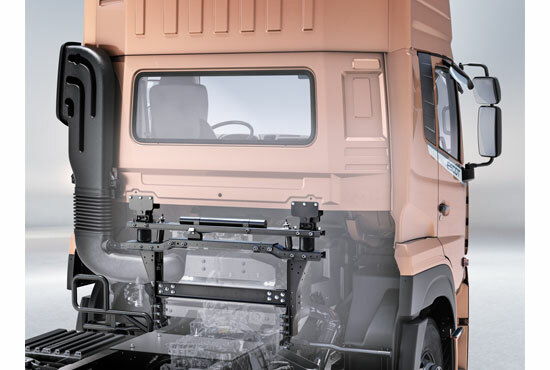 With the introduction of cab air suspension, cab vibration is greatly reduced. This helps lessen driver fatigue and enables better productivity. A smoother ride is also much kinder to the goods being transported. 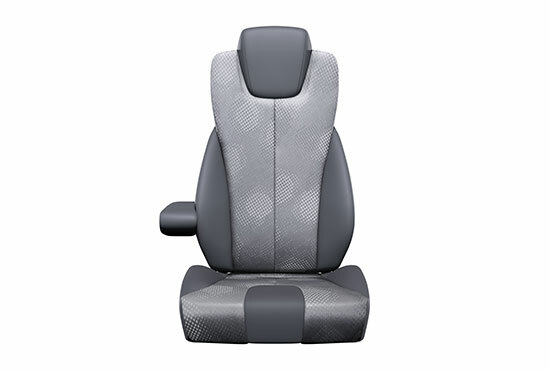 New Quester features a new air suspended seat with lumbar support and optional armrest for improved driver comfort. A worthwhile investment in reducing lost time injuries and retaining drivers. 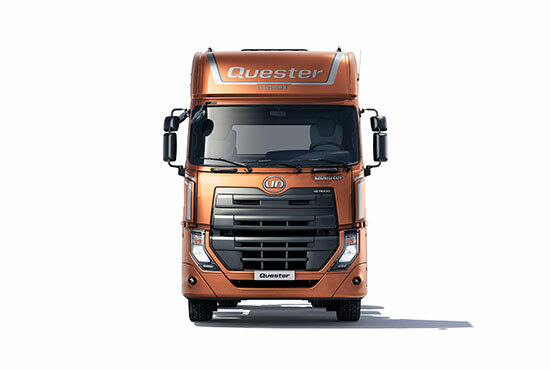 With its easy in and out three-step entrance, New Quester warmly welcomes drivers. 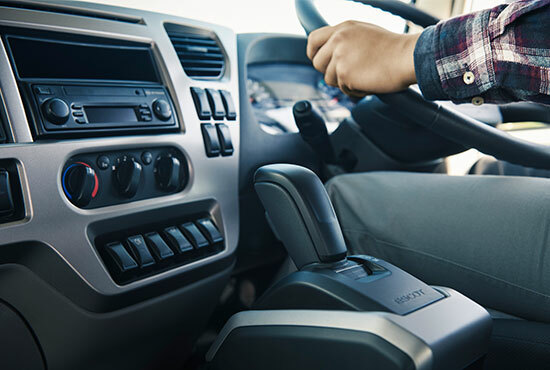 All vital instruments are within easy reach, an ergonomically designed dashboard and clear information display allowing focus to stay on the road ahead. There are ample storage options and room for home comforts. All in all, a bright, smart, modern environment that drivers can settle back and get to work in. Driver training from day one means that efficient driving and improved fuel economy don’t have to wait. Plus, drivers getting familiar with features and daily checks increases on-road safety. ESCOT, the latest evolution in 12-speed automated manual transmission, and an interior designed for driver comfort, provide a sophisticated and comfortable driving experience that reduces driver stress and fatigue. With ESCOT always selecting the optimal gear, drivers can improve efficiency and productivity regardless of their skill level or experience.